West Bengal and Kerala are both aiming to end a remarkable Hero Santosh Trophy campaign by winning the title when they face off in the championship clash at Vivekananda Yubabharati Krirangan in Kolkata on Sunday (April 1, 2018). Fittingly enough two of the most successful teams in the 72-year history of the competition, Bengal with 32 titles and Kerala the five-time winners will be vying for the title. 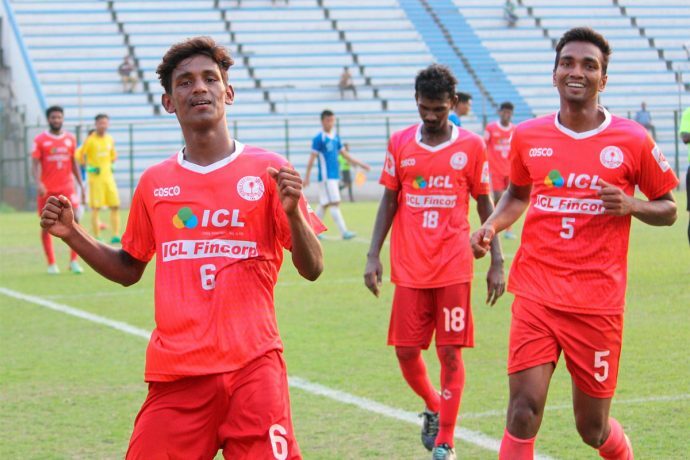 Bengal blanked Karnataka in a nervy semifinal encounter as two of the veterans in the side Jiten Murmu and Tirthankar Sarkar scored for the hosts to set-up a date with Kerala who beat Mizoram 1-0 in their semifinal. Bengal, who will carry the advantage of being the home side, have built their success around a solid defence that has only conceded two goals so far in the tournament, while they have relied heavily on the star quality of Jiten Murmu at the other end. Even coach Ranjan Chowdhury sounded confident about his team’s chances. “There is absolutely no pressure on the team. The team has confidence in its ability to win the final against Kerala,” said Chowdhury. Kerala have not won the trophy since 2005 and lost on penalties to Services in the final five years ago at home in Kochi. Satheevan Balan’s wards have seemed like a side on a mission to end their title drought and have been a joy to watch in the tournament with excellent display of team work. “I am very happy with the progress of my team, which has shown great improvement match after match. We have a great deal of respect for Bengal but I know my players are capable of winning the title.” Satheevan Balan said. For many a fan, Kerala is the favourite to win it, but Satheevan Balan is not ready to give into that assertion, insisting that Bengal have an equal chance of being crowned champions. “We are not favourites. Since we arrived here, we take every game as a final and against Bengal will be same. We will put in our best to make sure we win. We have an idea of the Bengal team having played them earlier in the tournament but we are talking of the final and surely it will be different,” he added.